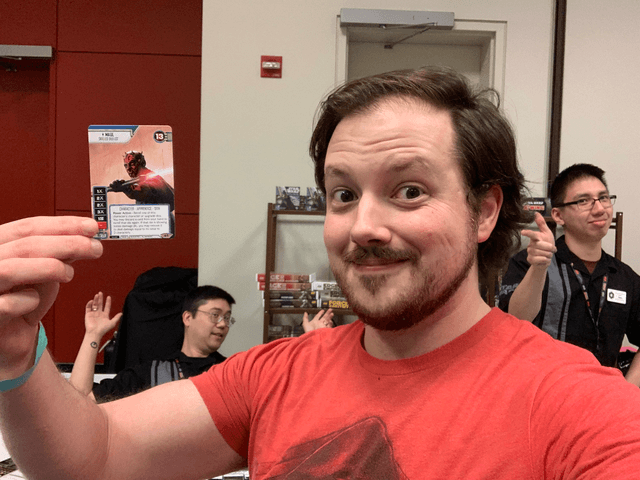 If the Episode IX teaser trailer wasn’t enough to get me completely hyped on Star Wars, the official announcement of the 8th set of Destiny (Spark of Hope) by Fantasy Flight Games today at Celebration sealed the deal! Before Reylo was even announced I was already riding a bit of a high after getting the beautiful alt-art Darth Maul (below) and seeing that we’d be getting a character version of R2-D2 on the back of the promo card. 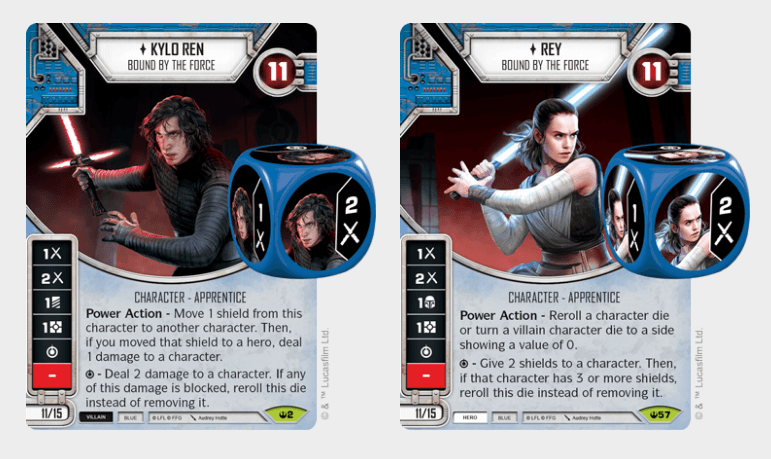 FFG not only previewed a new version of Kylo and Rey in their set 8 website announcement today, but also revealed that we will be able to play them on the same team! The throne room scene at the end of The Last Jedi is easily one of my favorite scenes in all of Star Wars, so I have no idea why I never even dreamed of the possibility of this team. Amidst all of this Star Wars hype, I can forgive myself for not fully realizing what the bigger implications of being able to play these characters on a team are. Blue has been my favorite color since Destiny released and now for the first time, I can include all of my favorite Hero and Villain blue cards in the same deck! While I’d like to go on and on about how excited I am to be able to play Kylo and Rey together, there is way too much happening here at Star Wars Celebration right now! I put together a very quick first Rey + Kylo (henceforth referenced as Reylo) deck and listed it below. 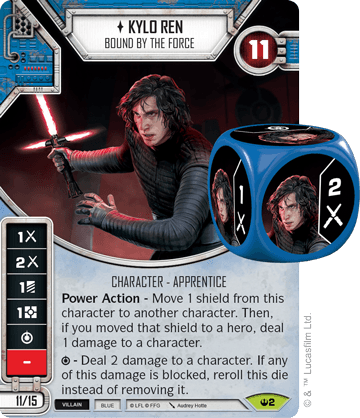 Reylo Deck Overview: This deck reminds me of my Kylo Anakin deck. You have two characters with solid stats, efficient control cards, and redeploy upgrades that let you play well into the late game. The biggest difference is that you get to play hero cards in this deck, giving you access to more control cards and shields. This is a very forgiving deck, so it is great for newer players learning the fundamentals of the game. 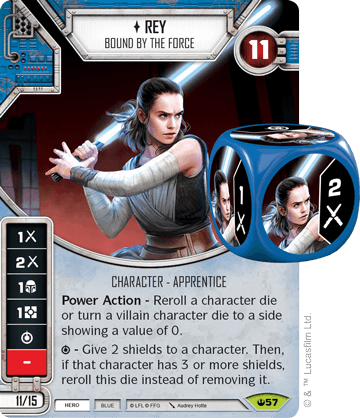 Opening Moves: Kylo’s Power Action gets significantly worse once Rey is off the table, especially if your opponent doesn’t have a Hero in play. Given how similar their stats are, you would much rather have Rey in play at the end of a game. 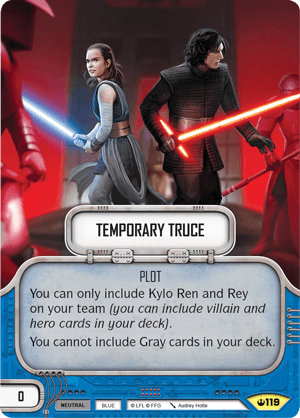 This means you will want to upgrade Kylo early with cards like Crossguard Lightsaber or Treasured Lightsaber. If they go after Kylo, you will want to overwrite those early upgrades with redeploy upgrades. In your opening hand, look for the 2-cost upgrades, 0-cost control cards like Pacify, Hidden Motive, and Forsaken, and resource cards like Torment and Adapt. This will let you spend your early resources playing upgrades. Finishing Moves: Ataru Strike is the most lethal card in the deck, since a character with 3 shields can turn a 2-damage side into a 5-damage side. Outside that card, the deck is not going to win with a ‘big play’, instead it looks to win by making consistently good damage exchanges. Between it’s consistent damage output, shields, and powerful control cards, the deck can make it tough to defeat either character and should do very well if you end up in a one on one situation. 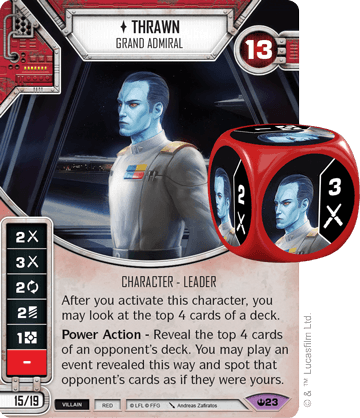 While Rey and Kylo are only rare, you can ensure you get them and every other card in set 8 (like the Legendary Darth Maul and Thrawn) by grabbing a Saga Set! Each set comes with one of every Legendary and two of every other card from Spark of Hope. Note, we have a limited number of Saga Sets available that will ship ‘by release’. It’s still pretty close to the release of the last set, so you can also lock in your boxes without spending any money through a Destiny Booster Box Subscription. Signing up is free and you aren’t charged for your booster boxes until a week or two before release.